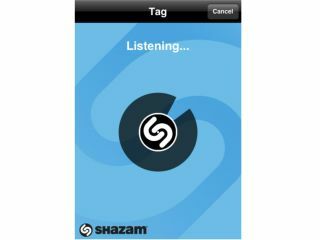 Shazam has raised £20 million ($32 million) in funding from venture capitalists in order to expand its music discovery service to TV shows. Just as you can 'tag' songs to find out what they are and who the artist is using Shazam, you'll be able to hold your phone up to the TV to get bonus features alongside the programme you're watching. The app will also allow brands to offer extra promotional material, accessed by 'Shazaming' adverts. It's all in the name of engagement, with many social networks chomping at the bit to get consumers sharing (i.e. promoting) what they're watching; Facebook, for example, is looking into social 'hubs' for users to check in to when they're watching certain programmes. Shazam isn't about to forget its roots though, with some of the funding going to improve and evolve its core music service. Andrew Fisher, CEO of Shazam, said: "Music is still at the core of our DNA and will always remain fundamental to who we are. "Our expansion into television is a natural evolution of our technology and we are excited to have delivered the same powerful discovery experience for broadcasting and advertising that people have always loved with music."